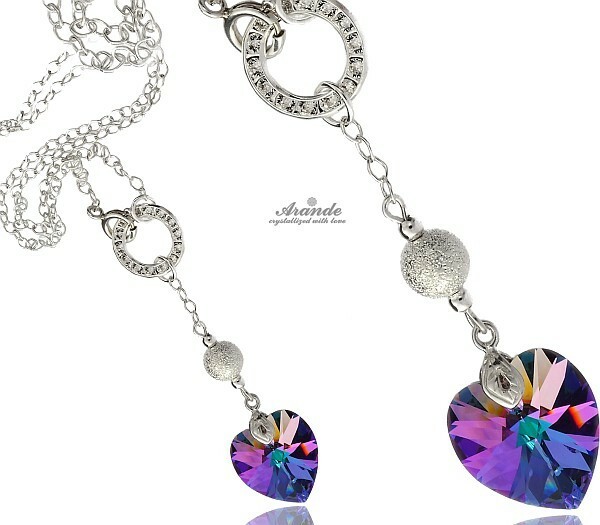 Beautiful silver necklace with large Swarovski crystal: CRYSTALEAR VITRAIL. New collection! Check at our other auctions collection CRYSTALEAR. The matching earrings and bracelets are available! These genuine Austrian crystals are made in famous Swarovski Elements collection world-known for best sparkling pearls and crystals. 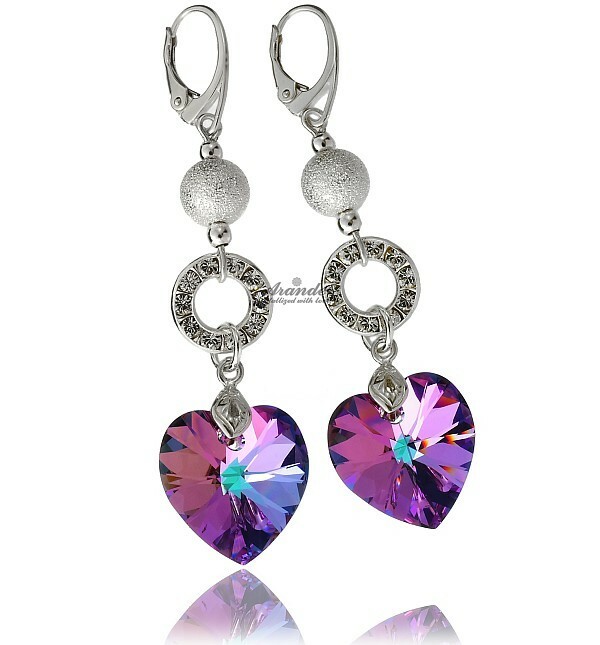 Original large crystal HEART in beautiful opalescent Vitrail Light color. Added with decorative rings and silver balls set with Swarovski crystals. Unforgettable jewellery for any occasion. Silver elements, chain, balls and clasps made with sterling silver 925. The stamp is marked on the clasp. Decorative rings made with silver plated antyallergic metal without nickle. Beautiful necklace with stylish finishin clasp. 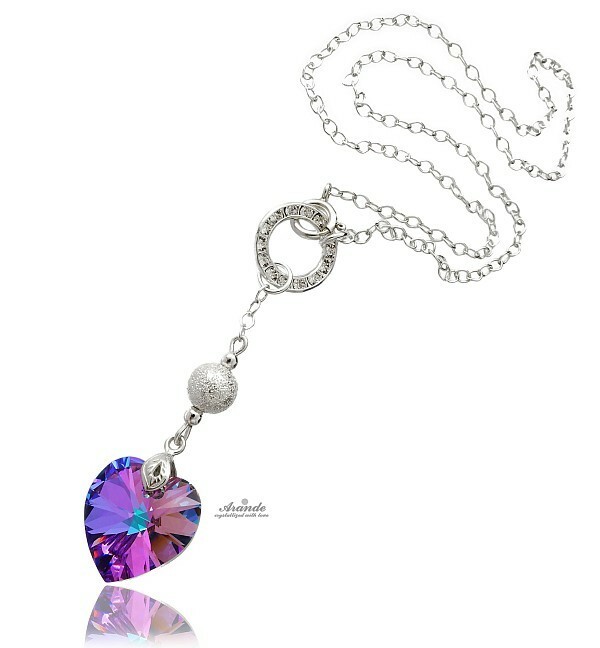 Beautiful silver necklace with large Swarovski crystal: CRYSTALEAR LOVE. New collection! Check at our other auctions collection CRYSTALEAR. The matching earrings and bracelets are available! Beautiful silver necklace with large Swarovski crystal: CRYSTALEAR ROSE. New collection! Check at our other auctions collection CRYSTALEAR. The matching earrings and bracelets are available! Beautiful unique silver bracelet with large Swarovski crystals CRYSTALEAR BLUE. New collection! Check at our other auctions collection CRYSTALEAR. The matching earrings and necklaces are available! Beautiful unique silver bracelet with large Swarovski crystals CRYSTALEAR LOVE. New collection! Check at our other auctions collection CRYSTALEAR. The matching earrings and necklaces are available! 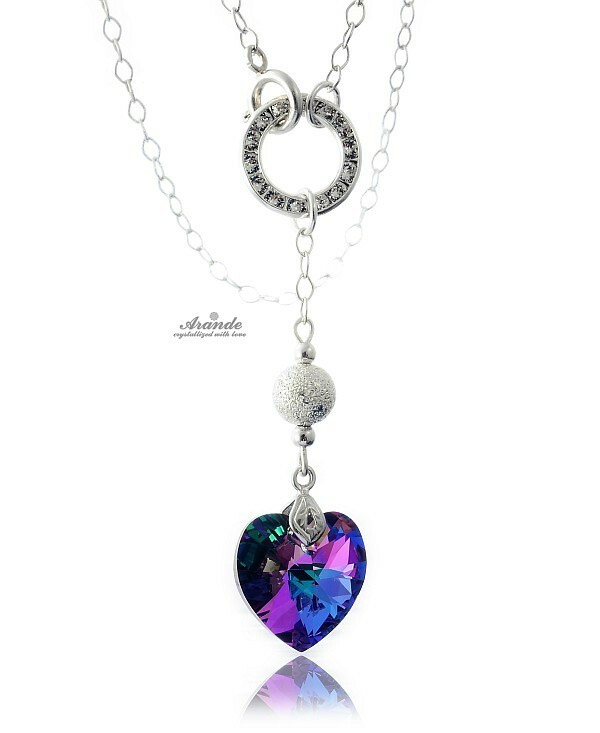 Beautiful silver necklace with large Swarovski crystal: CRYSTALEAR BLUE. New collection! Check at our other auctions collection CRYSTALEAR. The matching earrings and bracelets are available! These genuine Austrian crystals are made in famous Swarovski Elements collection world-known for best sparkling pearls and crystals.